Everywhere you look, people are on their smartphones. 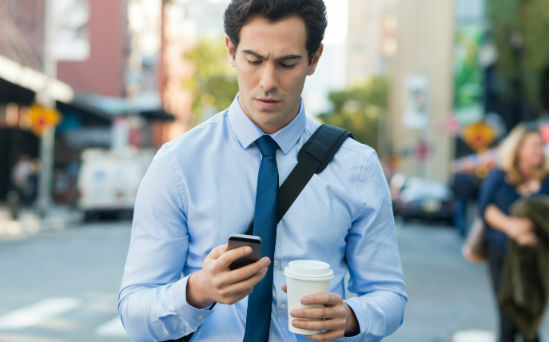 In fact, many pedestrians walk busy city streets with their heads buried in their phone, forgetting to look up to see who they’re about to walk into. While this is unadvisable, its proof how pervasive mobiles have become – particularly in the digital payment space. Have a look at how you can still buy your freakshake or latte, even when you accidentally leave your wallet at home. Apple Pay launched in New Zealand in October 2016. 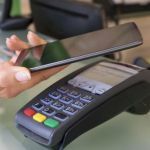 Apple Pay is essentially using your Apple mobile devices – currently iPhone SE, iPhone 6, and later Apple Watch – instead of your card to make in-store transactions. The system stores what’s known as a “device account number” in the secure element on the device. The actual credit card numbers are not stored on the device or the Apple servers. Apple Pay is only available to Visa debit or ANZ visa credit card customers. “More than 50% of the ANZ Visa transactions are contactless and this number is steadily increasing as more retailers adopt contactless technology,” ANZ chief executive David Hisco says in a media release. “Adding Apple Pay to our mobile payment offering will make it fast and convenient for more customers, to securely make every day purchases wherever there is a contactless terminal,” Mr Hisco says. You can read more here on how to set up Apple Pay here. A month and a half after Apple Pay’s New Zealand launch, Google and BNZ partnered up to offer Android Pay to the bank’s customers. BNZ Flexi Debit Visa customers were the first Kiwis to get to try out the smartphone payment system. Android Pay works in a similar way to Apple Pay; you can make payment by tapping your phone to the store reader, like you would with a contactless card. BNZ Android Pay will work for anyone who has an NFC-enabled Android device that uses software platform of KitKat 4.4 or higher. To get started, you just have to install the Android Pay app on your phone and then take a photo of your BNZ Visa Flexi Debit card to add it to the app. You’ll also need to load the mobile app to your phone to verify your details. David Bullock, BNZ director of products and technology, says the new payment system is in response to customer demand around payment technology. “Our cards team recognises that customers expect a seamless payment experience across their everyday banking, and mobile is at the center of credit and debit card growth in New Zealand,” Mr Bullock says. You can read more about Android Pay on BNZ’s blog. If you’re an ANZ customer, you can take advantage of your banking app expanding into a portable payment system. ANZ’s goMoney Wallet uses the same concept as Apple Pay and Android Pay. Hold the phone still, with the screen facing up, over a contactless payment terminal, like you would with a contactless card. If the payment is $80 or less, you won’t have to enter a pin for the transaction. Pro tip: Make sure the screen is on – and stays on – while you make the payment. Also, the way you hold the phone over the terminal will affect whether the payment is registered. Each phone will have a slightly different spot where the terminal registers the payment, so you might have to be a little patient initially while you figure out where that “sweet spot” is on your device. Wait for your phone to beep or vibrate and then check the terminal to confirm the payment has been accepted. You can read more on goMONEY Wallet, here. ASB has released new options for its customers to turn their smartphones into a portable payment system, with no card required. For ASB, having a smartphone payment system is a no-brainer, when you take into account how much we are using the technology for already. “ASB Virtual is, essentially, a digital wallet providing our customers the convenience of paying via their phone. Our mobile phones have almost become like an extension of our arm – we talk with it, text with it, tweet, play and ‘like’ with it, so now we’re thrilled our customers can conveniently pay with their phone, too,” payments general manager Matt Bartlett says in an announcement. You can use ASB Virtual to make smartphone payments from any of your ASB credit and debit cards added to your ASB Mobile app, on your android phone. And, if you don’t have an android device, you can still make payments from your mobile through ASB PayTag. This is a payWave sticker that attaches to your mobile, effectively turning the device into An ASB Visa card. The sticker works with any of ASB’s Visa cards/debit cards, and any phone model. More information on these payment technologies is available here. Westpac also has a PayTag option for its customers which can be attached to the mobile phone or mobile phone case to turn it into a digital payment device. As per standard, you can hold the phone against a contactless payment system to make transactions of $80 or under, without needing to put in your pin. Westpac customers can use PayTag with any of the bank’s MasterCard credit and debit cards. Hold the PayTag against the terminal screen and wait for a beep or a green light – the response will vary depending on the type of terminal in the store. Read more on Westpac PayTag here. 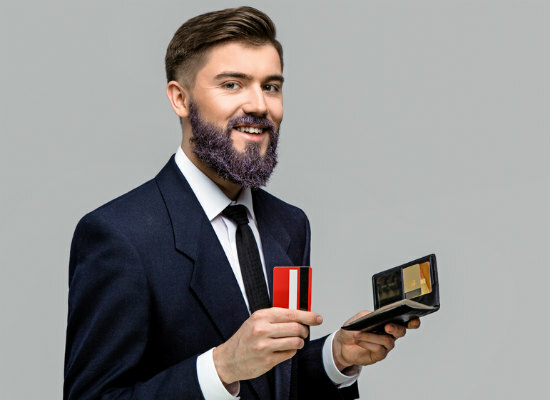 While you’re tossing up all the available digital payment options, it’s a good idea to go back to the beginning and look at whether the credit card itself is the best product for you. How you use it is one thing – whether it’s via the physical card, inserted, waved across a terminal or swiped, or if it’s used via a smartphone. But what you’re paying for use of the credit card service is another. Every year, Canstar compares the credit card options, weighing up interest rates and fees against features and benefits. You can find the latest research here, to help you compare credit cards.